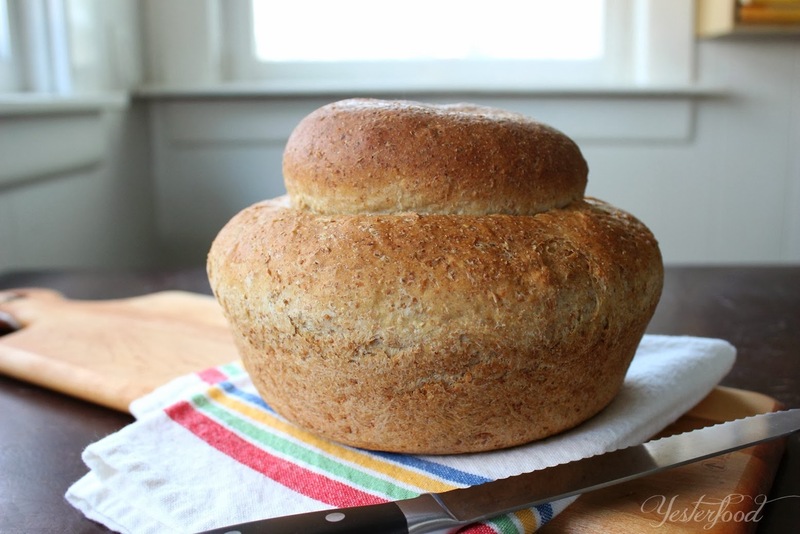 This lovely little rustic loaf of bread is sponsored by Red Star Yeast, and I am happy to give you my honest opinions about the entire delicious process. I wasn't worried about it (I've been making their recipes and using their yeast for a long time), and I wasn't disappointed. It might have been a way to conserve space on the floor of a baking oven: go up, not out. Centuries ago, there were severe penalties for bakers who sold underweight loaves of bread. 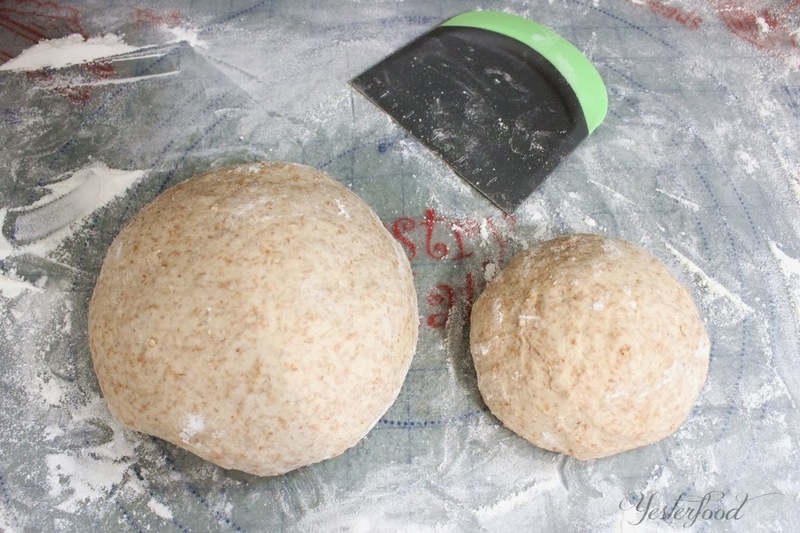 To make sure their bread would weigh enough, bakers added a small ball of dough on top. (The same principle of the "baker's dozen"- the baker would throw in an extra cookie to make sure the customer was not short-changed). Or perhaps the shape was meant to mimic the the outline of an English cottage and roof. Regardless of the explanation, the bread is excellent (and a fun conversation piece!). You get a variety of whole grains: whole wheat flour, oats, and even cornmeal. It has just a touch of sweetness from honey, and the texture is smooth, chewy, and hearty. It slices beautifully for toast or sandwiches, and stays soft and fresh for several days when wrapped well. The taste-testers are ready to get to work. They love their job. Please visit Red Star Yeast for the complete recipe, detailed instructions, and handy baking tips. Oh Joy, I love this! In the past I would make yeast breads a lot but for some reason I just quit. I'm going to pin this. I need to get back to some real baking. Thanks again for the recipe and the history that goes along with it. Well Wishes for a Wonderful Week! Absolutely gorgeous loaf of bread…not to mention I would love to have a slice with some butter and jam…yum! I am a carb addict, this looks so good! Pinning this for later. Sarah, thank you so much for stopping by, and I do appreciate the pin! 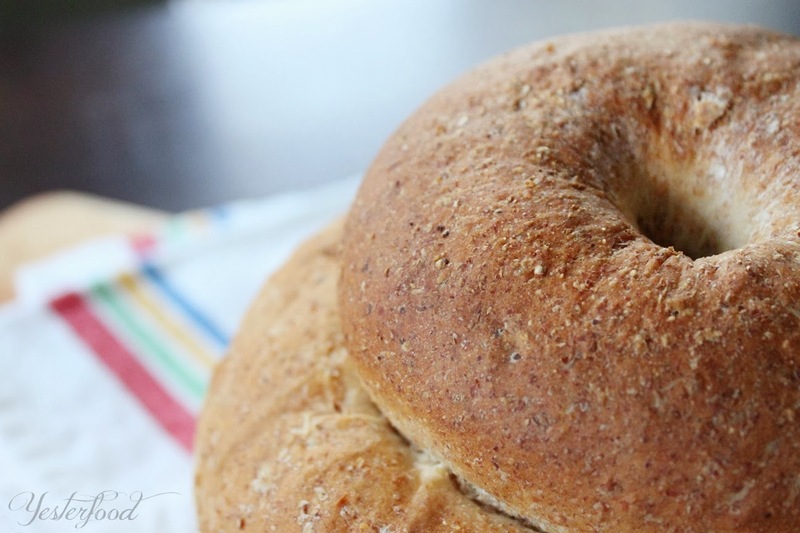 If you love carbs, this bread is for you- and it's healthy carbs, too! ;) Hope you're having a great week! Hi Joy, your bread looks so good! I bet it tastes delicious too. Have a nice afternoon. Julie, we really enjoyed it! Thank you so much for the visit! :) I hope your week is going well. Joy, this is lovely. I've never been brave enough to bake bread. I may have to try. Pinning. Thank you for coming by and for pinning, Talya! I don't want to sound like a commercial, but seriously, Red Star Yeast really does have lots of helpful tips if you ever want to try your hand at baking bread. :) It's kind of like they demystify it. Oh wow what a BEAUTIFUL looking loaf! I love the shape, it looks beautiful, and so delicious too!!!! What's better than freshly baked bread??!! I wish I had a warm slice with lots of butter!!! What a perfectly lovely loaf of bread! I can almost taste it. How interesting. The shape is a real eye-catcher and the history makes it even better.. Thanks for sharing. pinned to my Bread board! Nothing smells more wonderful than fresh baked bread in the kitchen! Thanks Joy! Joy, this bread is absolutely gorgeous! Your photo's look so delicious, I want a slice of bread right now :) I did find this history so interesting. I have wondered before about why "bakers dozen" was needed? Thanks so much for sharing. Wow looks so wonderful! Going to pin! I always look forward to coming to your blog and discovering what special recipe you have for us. This recipe clearly does not disappoint. I will be making this for my Granddaughter with a little history lesson. Thank you so much for sharing with Full Plate Thursday and have a great weekend! Miz Helen, I love how hands-on activities like that can bring history alive for all of us. :) I hope you and your granddaughter have a wonderful time! Love that you tied in a bit of history with it! Looks amazing! Thanks so much for sharing on Worthwhile Wednesdays! How interesting! I love hearing the history of foods and it looks delicious! Thanks for the great recipe and the history lesson! I like the abundance of grains in this loaf. Perfect time of year for making it too! When my daughters were in 7th grade they had a unit on the Civil War. They were required to duplicate recipes from that era. That's what this post reminded me of - the quaint, labor intensive way some of those were made - pre microwave ovens, packaged butter, and frozen vegetables! Taste testers are so lucky. 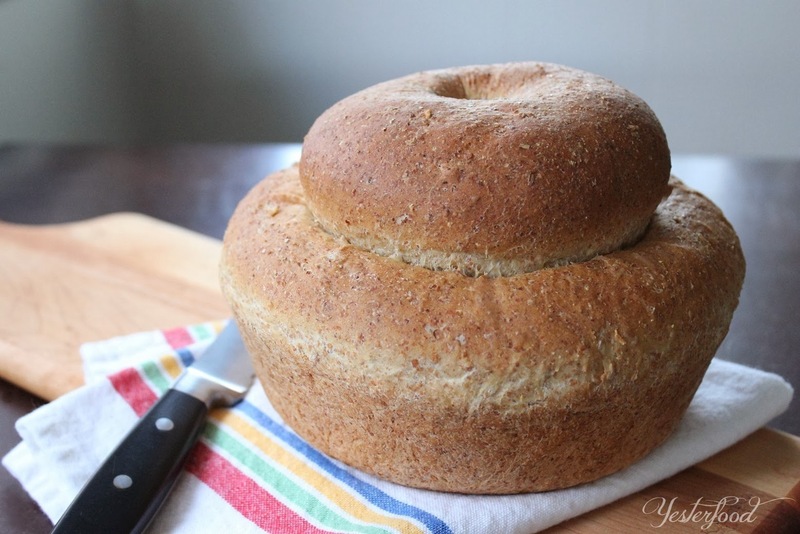 I've never seen a bread loaf like this before and it certainly is not complicated to make like I originally thought. Loved reading about how the shape may have come to be. Thank you for sharing, Joy. I love the history of this loaf and it looks delicious too. Great to see you back at Foodie Friday. Thanks for sharing this with us at our Marvelous Monday Party! Pinning and hope to see you again next week! I'm a bread lover! It simply looks FANTASTIC !! Joy, this is such a fun bread. I love how it's stacked! Really unusual looking and yum does it ever look good! Thanks for sharing with SYC. Mmmm, I love a hearty bread and the shape is so interesting. Thanks for sharing at Inspire Us Thursday on Organized 31. Good Morning Joy, Cottage loves are very popular here in England and are still baked in local bakeries. 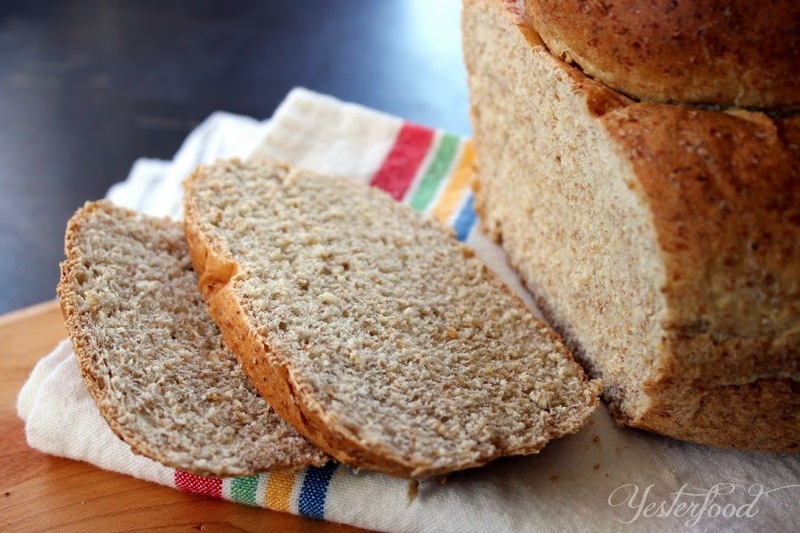 I love home made bread and I will certainly be trying your recipe. I was reading your profile which I found interesting, as my blog is a mix of my mother, Phyllis, born in 1930 and my Grandmother, Ivy, born in the early 1900's recipes and cookery books. I have enjoyed my visit and I have become a new follower. I am looking forward to reading your older posts. Daphne, I'm so glad that this bread brought us together! I've enjoyed my visit to your blog, and will continue to keep up with it! I'm looking forward to learning more about you, your Mother and Grandmother, and England! I saw this post on another blog hop and then dreamed about it all night. I have to make this bread!! Then will gobble it all up lol! 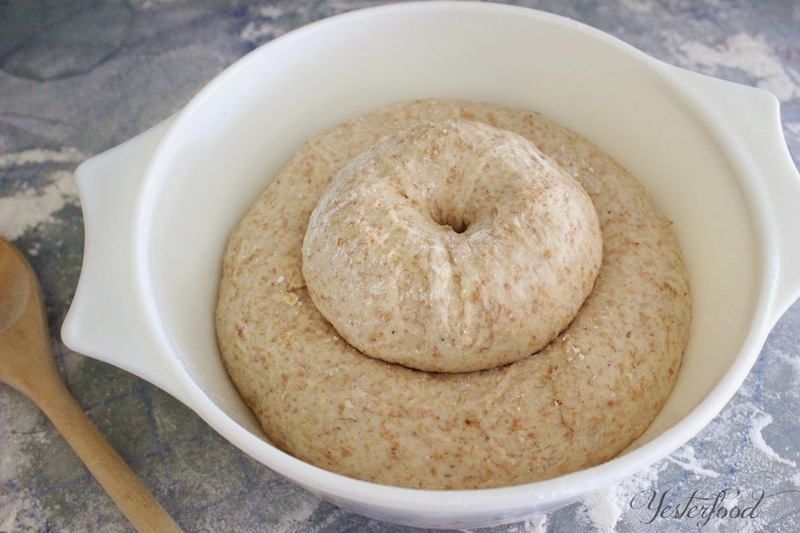 We love fresh made bread here and this will be fun to make, eat and talk about. Thanks for linking to Snickerdoodle Sunday. I love the background of this bread! It sounds yummy, too. Thanks for linking to the In and Out of the Kitchen Link Party. Hope to see you next week. I love learning the history behind this! Thanks for doing the research and for a wonderful recipe! Pinning! Thanks for posting on the Four Seasons Blog Hop! Sandra from Scrumptilicious 4 You! Oh gosh, that looks so good and beautiful too! This is such a beautiful loaf Joy ! 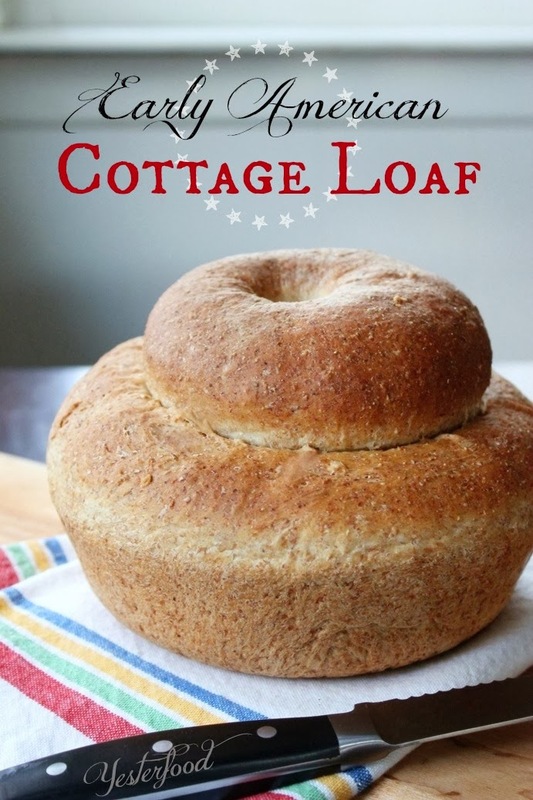 I just love recipes that have the roots of our founding in America. I can just picture the colonial homemaker taking this wonderful bread from her wood oven. Thank you so much for sharing your awesome recipe with Food of The World this month and hope you are having a great weekend!